Elizabeth Ruffalo is the owner of this New Jersey based company. Liz has been in the industry for ten years, having started as an engineer working with architects and contractors after graduating from Villanova University with a Bachelor’s Degree in Civil Engineering. She later attended Parsons The New School for Design in Manhattan where she earned her second degree, in Interior Design. Her previous design work includes a role as interior designer at an Architectural Digest Top 100 Firm in SoHo and a more intimate client focused position alongside an established Hoboken interior designer. 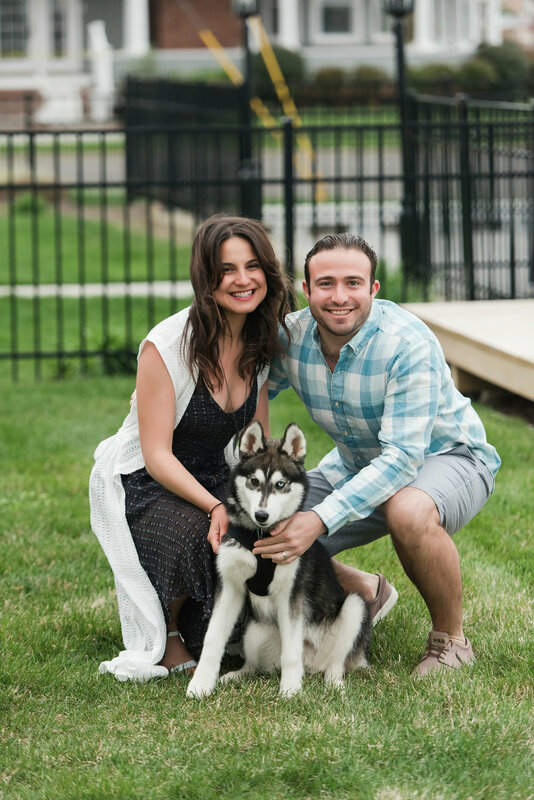 Liz opened Pheasant Lane Designs soon after moving to Allendale in 2015 with her husband, Matt (pictured with their husky, Lupo!). PLD services New Jersey, New York, Connecticut and beyond. Liz grew up in New Jersey, on Pheasant Lane, and she strives to share her value and passion for home with all her clients.